In a ceremony that took place at the Building SystemsCouncil annual Fall Showcase conference and trade show in Washington, DC, Ritz-Craft Custom Homes received seven accolades as part of the 2015 Jerry Rouleau Awards for Excellence in Marketing and Home Design. 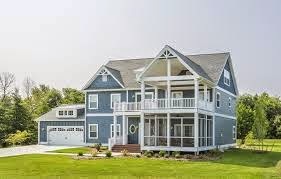 Presented annually by the Building Systems Council (BSC) and the National Association of Home Builders (NAHB), the Jerry Rouleau Awards for Excellence are judged by an independent panel of industry experts and are seen as the pinnacle of achievement within the modular home building industry. "It is great to honor the modular home manufacturers who have strived to be the best in our industry," said Donna Peak, Executive Director of the Building Systems Councils. "It is apparent through the volume of awards Ritz-Craft has received this year that they are a company constantly working to improve and innovate. Ritz-Craft's success makes the building system industry better and more competitive." When asked about these recent awards, Paul John, President/CEO and co-owner of Ritz-Craft replied: "Awards like these are not won by one person – it was definitely a group effort. I am extremely proud of the work our entire team puts forth on a daily basis towards creating new and exciting marketing tools and competitive home designs. We appreciate the National Association of Home Builders and the Building Systems Council for this recognition of our efforts, as well as the members of our builder network who have made these awards possible."